The average hardwood floor cost. Say you wanted to have a 500sqft floor installed. The hardwood floor will run you about $2,320.45 – $3,055.65 for 535sqft of hardwood flooring. Materials hardwood floor cost $210.40 – $241.90. Underlayment, fasteners, adhesives. Labor hardwood floor cost. 28 Hours $1,626.00 – $2,283.90. Hardwood floor cost allowance $37.50 – $55.50. Bring you at a grand total of hardwood floor cost for 500sqft to $4,194.35 – $5,636.95. The averge cost per square foot is $8,38 – $11.27. I hope this was helpful like us on Facebook. 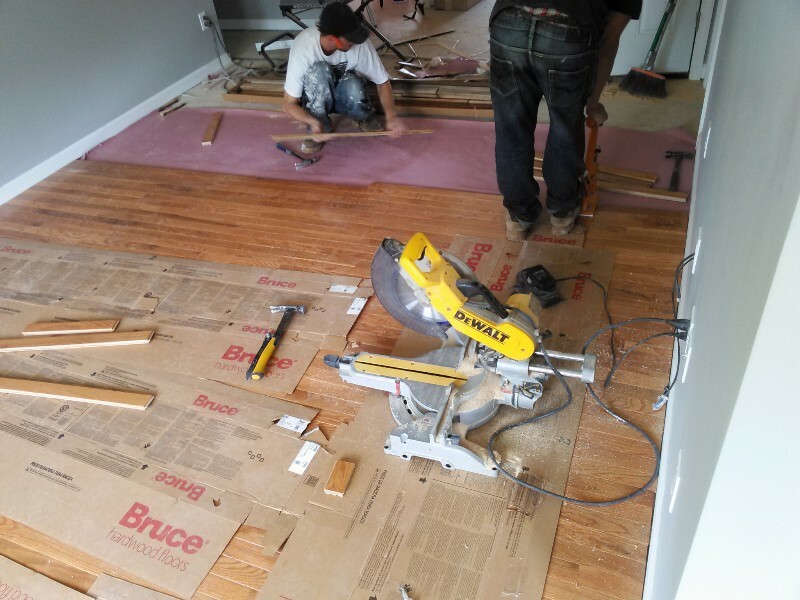 Want to learn how to install a hardwood floor? Here is a link. Follow us for upcoming on how to fix hardwood floor. We specialize in flooring installation and trim work. What we offer to the customer is guarantee lowest price on installation. We will beat our competition by 5%. We encourage our custoers to bring us their lowest quote so we can beat them and SAVE YOU MONEY. For more information about us here is a link.